Are your daily sales unreliable, unpredictable, and definitely not consistent? Have a successful marketing campaign but your ROI is dropping every month and don’t want your revenue and profits to dry up? If you’d like to HAVE an online system that brings in consistent daily sales to your business on a predictable basis… I can help. 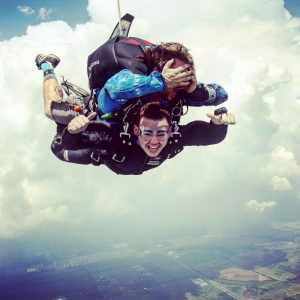 That’s me jumping out of a perfectly good plane!